According to ETNews, during CES Samsung Display has been privately showing a new foldable display prototype. SDC continues to develop their foldable OLEDs, and they are still only track to release the first foldable mobile phone in 2015. According to the report, the prototype panel was 5.68" in size, it uses a polyimide (plastic) substrate and it includes a touch panel. 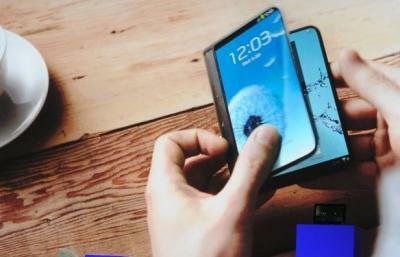 The touch panel uses metal-mesh electrodes instead of ITO (which is brittle and cannot be used in foldable displays).